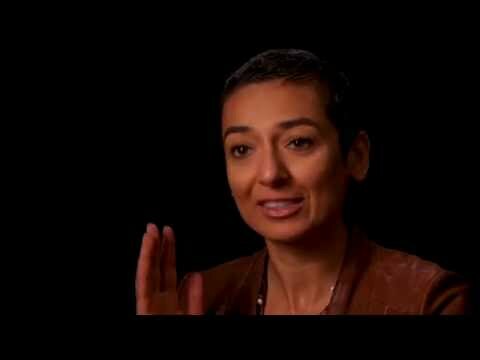 Zainab Salbi on women as the best investment for positive social impact. 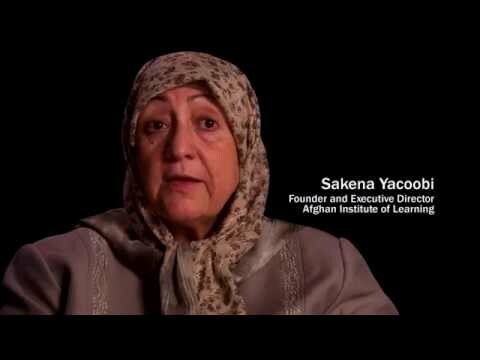 Carolyn Miles on the importance of girl's education. One of the most effective ways to fight poverty and bolster poor communities is through investing in education, particularly that of girls. Schooling not only can be a precursor for women and girls to stand up to the injustices they witness, it can also help foster economic growth and stability. However, today nearly 58 million primary school-age children are not in school. More than half of these children are girls and 75 percent of them live in sub-Saharan Africa and South Asia. Of all the primary-school age girls globally, 20 percent are not in school, compared to 16 percent of boys in this age group. That’s 1-in-5 eligible girls worldwide who aren’t going to primary school. The situation for girls in poor communities is worse, as they are more likely than boys to be deprived of an education. There are plenty of reasons for this discrepancy, including families wanting a girl’s help in the house, the cost of tuition and the fact that girls tend to drop out of school at higher rates. When schools are far away, parents may also hesitate to allow their daughters to walk the long distances alone. But education is vital. Though it's hard to prove the impact of girls’ education statistically, over and over it has been shown that this investment can have a ripple effect of opportunity that impacts generations. With primary and secondary school education can come increased job opportunities and higher wages. Girls who pursue secondary education are also at a significantly lower risk of engaging in crime or falling victim to human trafficking. Educated women have also been shown to marry later and have fewer children. While most experts agree on the importance of education, not enough research has been done on what specific kinds of programs can help keep children in school. One thing is clear: Simply building new schools is not enough. The trick is to find ways to keep teachers and students regularly attending school. One of the most cost-effective ways to increase school attendance is to deworm students. For as little as 50 cents per student, deworming has been shown to increase student alertness and has reduced school absenteeism by 25 percent in some regions. Other simple solutions include offering small scholarships to girls who do well in school, as well as helping girls manage their menstruation by providing sanitary pads and ensuring they have access to toilets at school. Another smart strategy for keeping girls in school is essentially bribery. A program in Mexico, called Oportunidades, gives poor families cash grants in exchange for keeping their children in school and taking them for regular medical checkups. It helped raise high school attendance by 10 percent for boys and 20 percent for girls, according to the World Bank. Supporting and providing aid to these kinds of innovative programs, which have proven effective, is one way we can help expand the number of girls attending school worldwide. It will also hopefully help spur other successful initiatives to step up girls’ education. Watch the Shining Hope for Communities video about Baba Diana, chair of the parent’s board at the Kibera School for Girls, the first tuition-free school and only school for girls in the Kibera slum in Nairobi. Shining Hope combats gender inequality by linking tuition free schools for girls to accessible social services for all. More than 13,000 girls in nine countries will have access to improved educational opportunities and holistic support this year as part of Room to Read’s Girls’ Education program. Last year 95 percent of girls stayed in the program, with a 97 percent advancement rate. Room to Read hopes to reach 27,000 girls by 2014. Check out Half the Sky Movement’s partners who are working to provide education for women and girls here.